The story of P. Krishna Pillai, who died young, but not before sowing seeds of a revolutionary movement in Kerala. E.M.S. Namboodiripad and A.K. Gopalan have surely been the most celebrated faces of communism in Kerala. But brush aside the dust of the years and another figure would emerge near those icons - a man who had walked before them, an excellent organiser and selfless crusader who, along with `EMS' and `AKG', founded the communist movement in the State and built a collective leadership for it. Known to the masses simply as Sakhavu (comrade), P. Krishna Pillai was `Kerala's first communist', home-grown, impishly bold and acutely sensitive to injustice, a product of the very movement he had helped fashion during a short, exceptionally dedicated life of 42 years. Since the early 1930s, no other leader in Kerala had been so successful in organising the masses, in spotting talent and in moulding the cadre and their commitment. At the time of his untimely death on August 19, 1948, of snake bite, Krishna Pillai was perhaps the most familiar face in the homes of the labourers and peasants of Kerala, a leader known for his courage and dynamism, humaneness and uncompromising stand against exploitation and oppression. As EMS wrote later, if he acted as the "intellectual centre" of the undivided Communist Party of India (CPI), Krishna Pillai was the "itinerant centre" entrusted with the job of going to every nook and cranny of the State "to meet comrades individually" and to make the party "a united entity, acting as one". Like the other founders of the Left movement, Krishna Pillai began his career in the Indian National Congress - first as a Gandhian and then as a Congress Socialist. In the early 1930s, when he began his political activity, Krishna Pillai was exposed to the radical politics challenging the British in various parts of north India. Later, he was among the first to be recruited to the "illegal" CPI, along with EMS, by P. Sundarayya, the legendary communist leader and Telengana armed struggle veteran, and became a life-long adherent to the cause of communism. His first revolutionary act of defiance shot him into the limelight when a group of Congress leaders defied the salt law on the beaches of feudal Malabar. Krishna Pillai, then in his early 20s, braved the punishing blows of the British police to hold afloat the tricolour in true Gandhian style. In September 1931, no sooner had he been released from jail, than he became the first non-Brahmin to ring the sacred bell at the Guruvayoor temple ignoring the Zamorin's Nair guards. He was then a volunteer in the Congress agitation demanding entry for four-fifths of the Hindu community into the temple who were being denied admission. Eyewitness accounts state that as blows rained on him, Krishna Pillai continued to ring the bell and shout: "Let the bold Nair ring the bell and let the timid Nair living on crumbs beat on his back." Such incidents were the early sparks of a radical movement that was soon to engulf the whole of Kerala, unleashing the democratic impulses of the people, altering the complex, exploitative system of agrarian relations, opposing the most obnoxious forms of caste oppression, and eventually uniting people from all parts and walks of life in the struggle for Independence. KRISHNA PILLAI was born in 1906 in a lower middle class Nair family of Vaikom in the princely state of Travancore (now south Kerala) and schooled at the great university of life because of poverty and the early death of his parents. After trying his hand at a few odd jobs, he travelled extensively throughout India. Eventually, he decided to learn Hindi and obtained a degree in it. He spent two years in Allahabad in the late 1920s, at a time when leaders of militant trade unions, communists and revolutionary terrorists, inspired by the October Revolution in Russia and the first open conference of the CPI in India (Kanpur, 1925), were in the news and searching for alternatives to fight the British. By the time he returned home he had become a good orator and prolific writer in Hindi and had acquired a working knowledge of English. Krishna Pillai resigned the Rs.30-a-month job as a Hindi pracharak and enrolled himself as a volunteer in the `Salt Satyagraha March' taken out from Kozhikode to Payyannur (in today's Kannur district) as a part of the first Civil Disobedience Movement. Soon he became the beloved leader of hundreds of young volunteers and was soon leading the early communist organisers in Malabar. However, the Civil Disobedience Movement did not elicit much enthusiasm among the peasants and labourers of Malabar and got little support from the lower castes. It offered little for them, the Congress being still a body of the elite. But Kerala then, especially the British-ruled Malabar region, was a den of oppressive caste, class and agrarian divisions, and illiteracy and poverty made worse by the impact of the Great Depression. While he was in the Kannur jail for the `crime' of taking part in the Salt Satyagraha, Krishna Pillai regularly took part in discussions with other inmates on the strategies that would attract the common people into the freedom movement. In a postcard from prison sent in 1931 to an inmate just released from the jail, Krishna Pillai was already asking him to distinguish between a "Congress of the poor" and a "Congress of the rich" and to work for the peasants if he belonged to the former group. By September 1931, when the Congress decided to picket the Guruvayoor temple, Krishna Pillai had already become "the famous man from southern Travancore", a courageous leader cast in a different mould, tackling the hated British head-on, consoling victims of atrocities at the risk of his life, and ridiculing satyagrahis chanting Gandhian mantras for freedom. Such intrepidity was rare in landlord-ruled Malabar and provided a much-needed fillip to the struggle, which, however, Gandhiji withdrew when it was at its peak. Given his growing disenchantment with Gandhian methods, Krishna Pillai was by then convinced that freedom cannot be won without including the aspirations of the majority of the downtrodden people of Kerala in the objectives of the struggle. Thus while a section of Congress leaders began to restrict their activities to the uplift of `Harijans' (Dalits), Krishna Pillai and his fellow militants began to travel the length and breadth of Kerala holding clandestine political meetings, demonstrations and youth conferences, and organising trade unions and peasant organisations. Between 1934 and 1939, nearly 80 local trade unions were organised industry-wise in almost all the urban centres of Kerala. In addition, two central trade unions, one each in Kozhikode and Kannur, and an all-Kerala trade union committee also came into being. The dynamic leader that he was, Krishna Pillai also took the initiative to organise factory committees in every company and to include even the most backward among the labourers to bargain collectively for their rights. As EMS wrote, Krishna Pillai was instrumental in dismantling the elitism ingrained in Kerala politics until then, and paved the way for its replacement by a collective leadership, especially of the working class and the peasants. A decade before the Punnapra-Vayalar armed struggle by workers and peasants that heralded responsible government in Travancore, Krishna Pillai was sowing the seeds for such struggles in northern Malabar, orchestrating a movement against the local landlords and making it possible, through skilful and studied leadership, for the peasants to defeat the conspiracies of their tormentors. Simultaneously, he and his fellows took upon themselves the arduous task of enlisting fulltime cadre for the Congress movement. In all such activities, Krishna Pillai and his Left-leaning party colleagues had important objectives. It was their rationale that mass demonstrations of peasants would convert the whole question of landlessness, indebtedness and caste oppression into popular action and that, to an extent, the spontaneous display of brotherhood and comradeship in the mass demonstrations would help break down the barriers of caste and class. Moreover, such struggles were the perfect training ground for future leaders of the cause. Almost all the trade union leaders who later joined the CPI had their initial training in these struggles. It was Krishna Pillai who nurtured their leadership skills and groomed them to be good communists, though he himself never claimed a sophisticated knowledge of Marxism. THANKS to the efforts of the Left-leaning Congress workers, by 1935, Congress committees were established in almost all the villages of Malabar, with a disciplined core of volunteers and organisations of peasants and trade unions complementing this main political organisation. Reading rooms and libraries cropped up at an amazing speed in almost all the villages, where "local activists taught illiterates to read socialist books and pamphlets and conducted study classes". The live-wire organiser that he was, Krishna Pillai with his tireless leadership contributed to the phenomenal growth of Congress membership from a mere 800 in 1930 to 70,000 by 1937-38. When the all-India conference of Congress Socialist workers (Bombay, 1934) decided to form the Congress Socialist Party (CSP), EMS was appointed one of its general secretaries and Krishna Pillai the secretary of the CSP unit in Kerala. In the following years, the CSP became a dominant force within the Congress organisation in the State, having won six out of nine places on the Kerala Pradesh Congress Committee (KPCC) and five out of eight Kerala seats on the All India Congress Committee (AICC). At the KPCC meeting in October 1934 the Krishna Pillai-led CSP pushed through a series of Left-leaning resolutions, including the explicit rejection of Gandhian methods. A State Congress came into being in Travancore within four years of the establishment of the CSP. Krishna Pillai and the CSP played an active role in the struggle for responsible government there. As part of this struggle, the famous general strike in Alappuzha was organised. 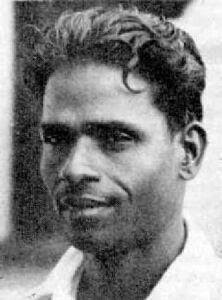 Krishna Pillai was the main organiser of the four-week-long strike during which the Dewan unleashed a reign of terror on the defiant workers. But in the end it won the working class of Travancore the right to organise and bargain. Krishna Pillai emerged out of the struggle as a true leader of the masses and the agitation proved to be the inspiration and the strength behind the Punnapra-Vayalar armed struggle, eight years later, which signalled the end of princely rule in Travancore and the coming of Independence. In the five years between the birth of the CSP in 1934 and its transformation into the CPI in 1939, the KPCC was in the hands of the Leftists and leaders like Krishna Pillai could wield considerable influence in shaping mass struggles in Travancore, Cochin and Malabar. The period saw the sprouting of independent class organisations of peasants and workers and those representing teachers, students, youth and women, and the launching of organised struggles against capitalism and the landed gentry. The unity of the working class assumed a new meaning in Kerala and its leaders could successfully link all these struggles to their cause and the freedom movement. In his autobiography, EMS states that it was Sundarayya who encouraged him and Krishna Pillai to move from Congress Socialism to Communism. As early as 1934, Krishna Pillai and the workers of the small Communist League from Thiruvananthapuram were regularly in contact to coordinate their activities. But his admiration for Marxism was not yet pronounced. In 1935, Krishna Pillai was distributing clandestine communist literature at the Lucknow session of the Congress. In 1937, soon after communist literature was seized from EMS' home, Krishna Pillai hoisted the communist flag at the All India Labour Conference held in Thrissur. It was in 1937, however, that the CPI unit was formed in Kerala. But, facing a ban as it was, the party decided that Krishna Pillai and EMS should continue to be members of the CSP as well as the Congress, and then recruit cadres for the CPI clandestinely. At the opportune moment they were to convene a meeting of the cadre and announce the formation of the party unit. In his autobiography, EMS describes Krishna Pillai as a man who was more emotionally attached to communism than he was. According to him, while his own relationship with communism was more of an intellectual nature, Krishna Pillai had the advantage of having an emotional bond "with the spirit of the communist movement". Moreover, Krishna Pillai could understand the hopes and aspirations of the working class much better, coming as he did from a poor family and having left his home early in search of a job. The exposure that Krishna Pillai had to revolutionaries in north India (not all of them communists) too had made it easy for him "to understand, early enough, that Gandhi and Nehru were different versions of the bourgeois leadership". Even within the State Congress, unlike him, Krishna Pillai was in constant tussle with the rightist Congress leaders and was always on the side of the ordinary workers. Therefore, Krishna Pillai's tryst with communism was comparatively a smooth affair, while he himself had a rougher ride, EMS wrote. WHEN the Second World War began the CPI took a stand against it. The CSP confined its protest to sending postcards to the government opposing the war. It was in this context that the 1939 semi-legal conference of 90 prominent CSP activists at Pinarayi, a village near Thallassery in Malabar, on (or about) October 13, 1939 that decided to transform the Kerala unit of the CSP into the CPI. Three months later, on January 26, 1940, the party announced its existence "with tarred slogans on the walls, culverts and government offices". Krishna Pillai's role in the transformation of the CSP into the CPI in Kerala was decisive. He wrote: "When the war broke out in 1939 and the CSP leadership [at the national level] went over wholesale to the side of Gandhi's, the Kerala unit of the party joined the communists, because that was the only effective path to choose in order to carry out one's duty to socialism and revolution." Soon Krishna Pillai went into hiding, to organise the party in secret, a job in which he already had considerable experience. One day, in December 1940, when he strayed into his native Vaikom, the police were waiting for him. He was arrested and hurriedly transferred to the Edalakudi sub-jail in Kanyakumari district (near Sucheendram in Tamil Nadu). And there began a rather quaint love story. While in jail, Krishna Pillai befriended a guard and sought his help to get some books (in Hindi) to read, from a schoolgirl who used to pass by the prison every day. Always, when the books were returned, there would be pieces of paper concealed within its covers. The scribbled notes began by asking in Hindi (an unfamiliar tongue to the general population) `What is your name?' And no sooner had the frightened girl replied, `Thankamma', than Krishna Pillai began sending her a string of such notes, not on love, but on politics. Thankamma was bewildered, but the intention was clear: she was to be a new recruit for the party. The relationship blossomed further when Thankamma began translating Krishna Pillai's secret messages from Hindi into Malayalam and delivering it clandestinely to CPI members, risking the wrath of the Dewan's secret police. Soon she would even find a job as a tutor to schoolchildren to find the money to pay the jail guard. She eventually met her mystery man when he was being taken outside the jail premises for a bath. It was only then that Krishna Pillai proposed to her with a warning: "Life with me will be difficult, different. My wife should stand by me, the party and its cause. Then alone will she be happy." They got married when he was released soon after the ban on the party was lifted in July 1942. From then on, Thankamma became Krishna Pillai's only true affection, after the party. Soon afterwards, during the first all-Kerala conference of the CPI held in Kozhikode, Krishna Pillai was elected the State secretary. He was to lead the party during a period of extreme complexity, marked by not only ideological debates in the CPI at the national level but particular local difficulties, including a crisis relating to organisational issues. Krishna Pillai, as party secretary, unilaterally dissolved the State committee. The decision was overruled by the CPI central committee. With the CPI accepting the `Calcutta Thesis', which, among other things, called for an armed struggle against the Indian state, as its new policy in its second congress held in March 1948, party workers like Krishna Pillai, who had struggled so hard for Independence, were forced to go into hiding once again. In a way, he became a martyr in free India when he was once again forced to go underground and run the party clandestinely. On August 19, 1948, while Krishna Pillai was staying incognito in a coir worker's hut at Kannarkat (Muhamma) in Alappuzha district, he was bitten by a snake. Despite the best efforts of those who gave him shelter and the party workers who were responsible for his safety, Krishna Pillai died within half an hour of the incident. With the police in constant vigil for his arrest, the best of medical treatment was hard to come by. Stunned followers later travelled with his body for hours, on foot and in a hired `lorry', first to Alappuzha town, then to Kollam, several hours away. It was when Krishna Pillai was lying on the floor and preparing a speech to be read out at the CPI State committee that the snake bit him. He had started writing on a piece of paper, as if addressing the party: "There is criticism, but no self-criticism... " Then, just before he died, he scribbled on the same sheet of paper: "My eyes are getting dark. I feel weak and tired. I know what will happen. Comrades, Forward! Salutations."